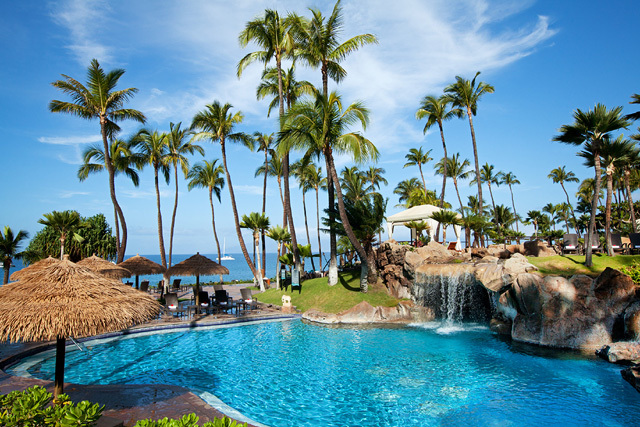 We are so excited to go to Maui and stay at Westin Maui Resort & Spa! Thanks to all of our wonderful family and friends for everything you have done for us. You all are such a blessing. Thank you for visiting our retirement/birthday celebration registry and our website! 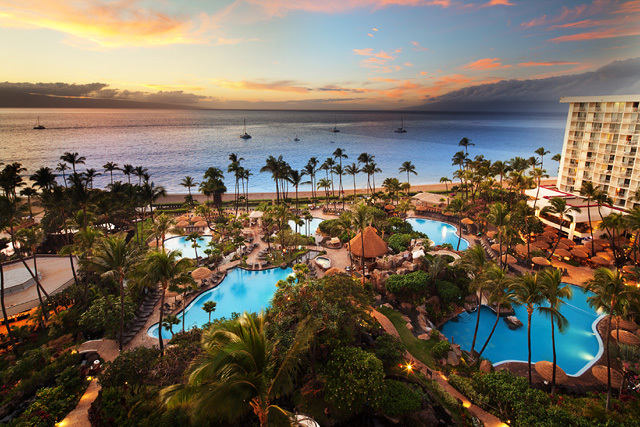 The Westin Maui presents an unforgettable experience in the tropical charms and exotic luxuries of paradise! This soothing sanctuary boasts sumptuous settings in comfortable accommodations, tantalizing cuisines, an array of thrilling activities and a place of peace and calm in the spa. Exploring the enchantment and mesmerizing beauty of the islands on this Hawaiian holiday is a wonderful gift! 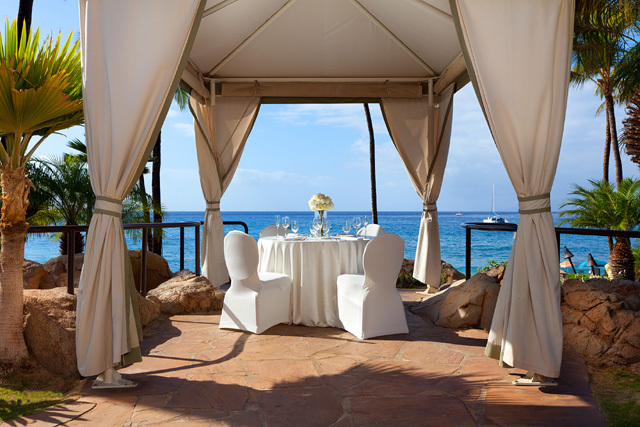 With your lovely gift the experience on this trip of a lifetime at The Westin Maui will be unforgettable! Here, the true essence of the islands will be discovered with lush natural beauty, pristine beaches, sparkling waters and the welcoming spirit of "Aloha". The Westin Maui resort credit can be used towards its enchanting accommodations, world-class restaurants, thrilling activities and an array of tranquil treatments in the spa. A stay at The Westin Maui will be an exceptional island getaway that is just as alluring as it is mesmerizing! 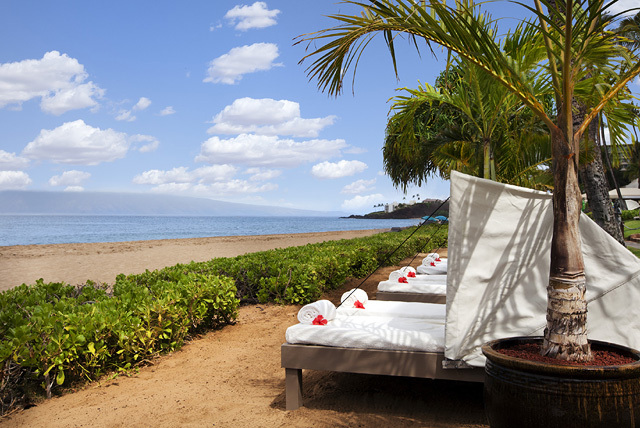 The Westin Maui Resort & Spa offers a relaxing and luxurious way to enjoy Kaï¿½anapali Beach in an ocean front cabana. In addition to a front row seat to the sparkling waters and sun kissed sand, cold water service and Maui Gold pineapple wedges will be provided with this one of a kind tranquil getaway. With your thoughtful gift, it will be time to indulge in a sumptuous sweet treat on this Hawaiian getaway at The Westin Maui Resort & Spa! A personalized celebration cake will be delivered to the room. The room will be beautifully decorated with rose petals. The perfect start to an unforgettable evening in paradise! 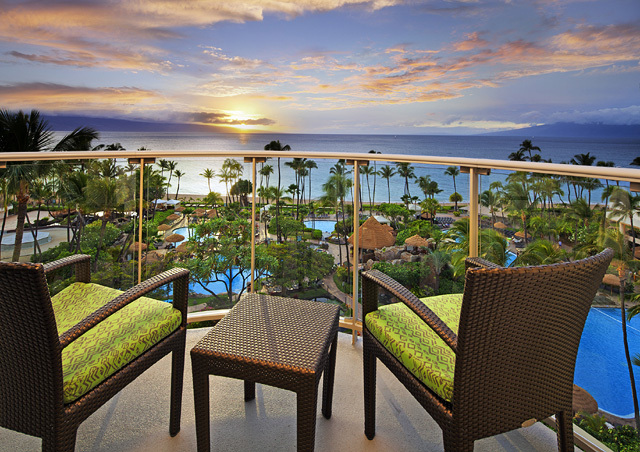 At The Westin Maui Resort & Spa, it will be time to enjoy a sumptuous treat from the comfort of the room balcony! A platter of chocolate dipped strawberries will be delivered to the room for the ultimate indulgence in paradise! The Fruit & Chocolate Plate is a wonderful gift for this tropical escape at The Westin Maui Resort & Spa! A plate of tantalizing fruits and rich chocolates will be delivered to the room for a tropical treat! While admiring stunning views from the private lanai, a bottle of this exquisite Champagne will be enjoyed! The Hope Package is a lovely gift! Pamper with this 50 minute Heavenly Massage and 50 minutes Hualani "Heavenly Fruit" Scrub. Share this 80 minute solace in a relaxing experience side-by-side while enjoying the signature Heavenly Massage to the sounds of the ocean while feeling the gentle sea breeze under the private poolside gazebo or in a relaxed atmosphere featuring a private couple’s suite with soft lighting, gentle music and glowing candles. A healing experience passed down through the Hawaiian culture, this 80 minute massage will bring rhythmic touch with the scent of Hawaii to enhance deep relaxation. Journey to a world of tranquil bliss with this spa package that includes 50 minute Heavenly Massage, 50 minute Radiant C+E Facial and 25 minute Energize Body Renewal for one. 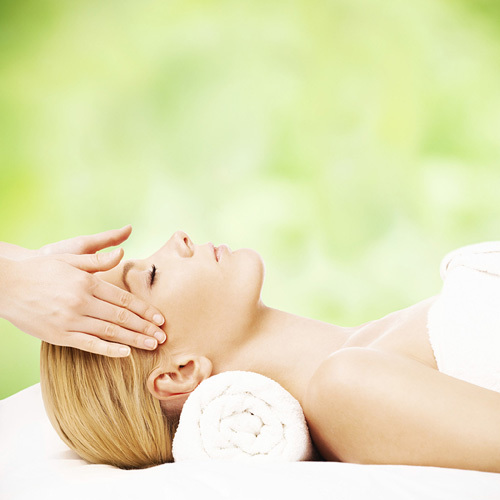 Unwind and relax at the Heavenly Spa by Westin with this ultimate spa package. Enjoy a 50 minute Heavenly Massage, 50 minute Heavenly Lomi Lomi Facial, 25 minute Energy Body Renewal, Heavenly Manicure and Pedicure. Board a catamaran and cruise through the sparkling waters of the Pacific Ocean. 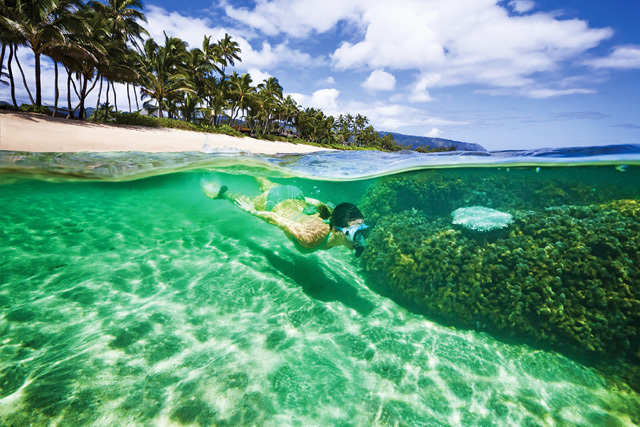 Snorkel among tropical fish and witness an underwater world of beauty. Refreshments, wine, beer and Mai Tais are included. Enjoy a majestic Sunset Sail adventure at The Westin Maui Resort & Spa! Sail through the Pacific Ocean's sparkling waters and sip on a Mai Tai while enjoying appetizers and lounging on the deck. Before heading back, witness a spectacular Hawaiian sunset painting the sky with tropical brilliant colors! Indulge in a Hawaiian Buffet and tropical beverages. 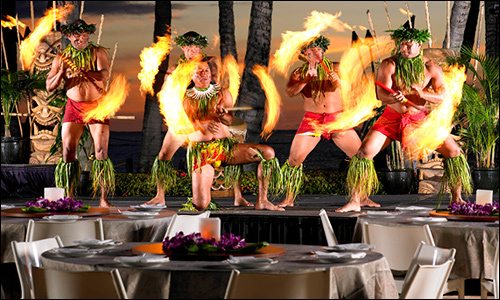 The spectacular Polynesian and fire knife performers will enchant and embrace all guests with the islands’ culture. Discover the excitement and thrill of paddle boarding on this tropical getaway at The Westin Maui Resort & Spa! After a brief orientation and lesson with Ka'anapali Surf School, leisurely paddle and enjoy the famed Ka'anapali Beach from the Pacific Ocean. Take part in a whale watching excursion! Humpback Whales return to the tropical waters of Maui every year from December to April. Watch these graceful giants dive and breach with a professional Marine Naturalist onboard. Appetizers and refreshing beverages are included. Learn to surf in Hawaii! This semi-private lesson will be an experience to remember. 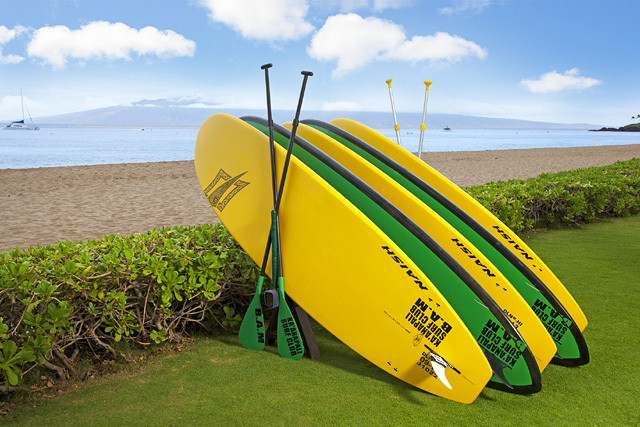 After a brief orientation and lesson with Ka'anapali Surf School, hang-ten and enjoy the waters of the famed Ka'anapali Beach. Bring a piece of paradise home! Browse through the resort shops like, Nalu Pearl, Martin & Macarthur - Makai, Accents, Elan Vital and weekly craft fair for a few keepsakes. From beautiful artwork, stylish accessories and designer apparel, to locally made products and souvenirs, these little treasures will be cherished for many years to come! Give the gift of relaxation! Your generous gift will provide a resort credit to pay for room accommodations. 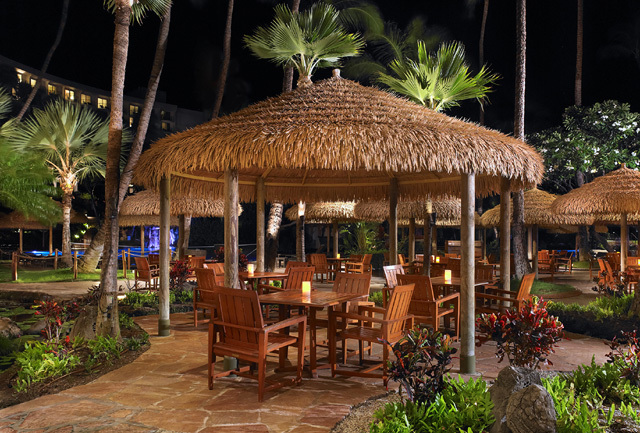 Indulge in a Hawaiian Buffet and tropical beverages. A spectacular Polynesian and fire knife performers will enchant and embrace the audience with the islands’ culture. 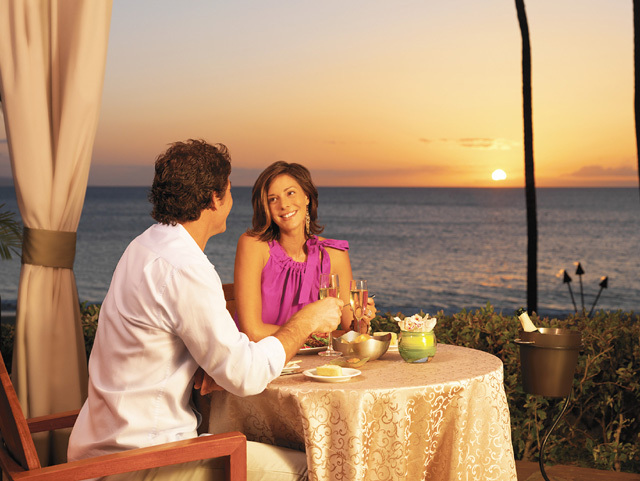 We will enjoy a private and romantic dining experience for two at a beautiful outdoor setting overlooking the beautiful Ka'anapali Sunset. With different menu options to choose from, we will surely find one that instinctively suits our taste. Dinner begins at 5:00pm. We will start our tropical journey with a special dining experience. We will choose from a variety of four starters and seven entrées. Breakfast will start at 6:30pm. To prepare a road trip to Hana or early rise to Haleakala, stop by this tropical bistro serving a variety of fruit, freshly baked pastries, delicious smoothies and Starbucks coffee from 5:30am. Open daily. Experience a modern twist to the American classic burger. 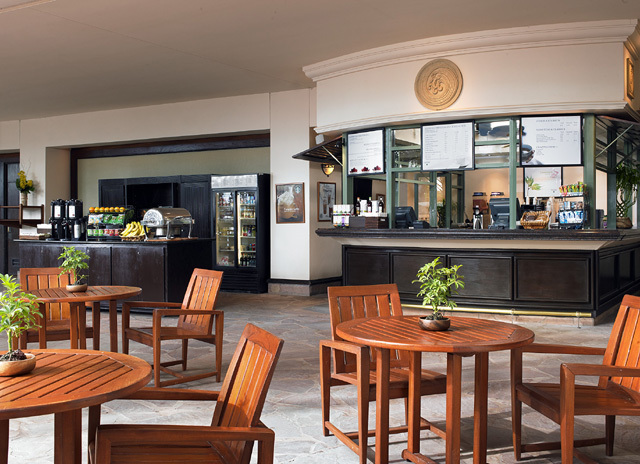 A perfect place to start the morning with an energizing breakfast, indulge in casual dining. Open daily.